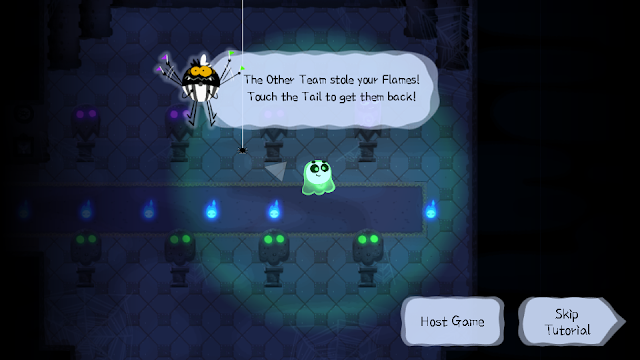 Google offers different style of Doodles to mark some occasions, and this year's Halloween, it is offering the Great Ghoul Duel game, which is perhaps the first multi-player Doodle game that allow users to form two teams of four ghosts to collect wandering flames and return to base within two minutes. The company had launched series of interactive doodles to mark the opening of the 2016 Olympic Games in Rio de Janeiro, with the "Fruit Games" playable either on the browser or on Google app for Android and iOS, but the Great Ghoul Duel game takes things a notch higher as the first-ever multiplayer game. It lets you play with random people around the world, and by forming two teams of four ghosts collect as much spirit flames as possible to your home base in two minutes. The team that collect the most spirit flames will unlock some special powers, like night vision and power boosts, albeit teams can steal each others flames as they deposit them at their home base and the eventual winner is the team with the most spirit flames at the end of the game. You can invite up to seven friends or family members to join in the team and play via a custom link, or you can choose to play with random people from around the world. As games can be pretty addictive, it is recommended that you shouldn't play it at the office and perhaps you'll need plenty of cookies to sustain you, given the long playing time. 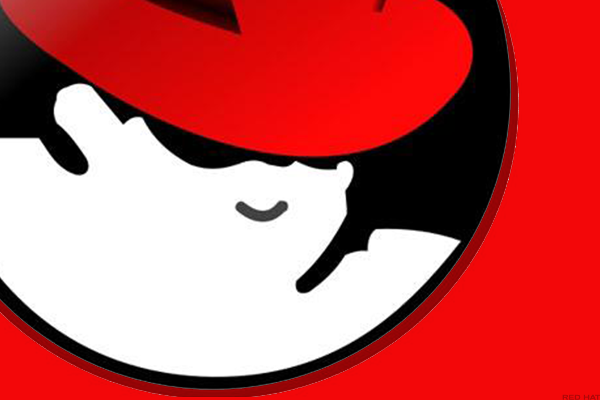 Red Hat is perhaps the world's leading provider of open source solutions, which ranges from high-performing Linux to cloud; with Kubernetes technologies, the open source container orchestration tool which has gained huge popularity. Now, Red Hat has announced an agreement for acquisition by IBM for a whopping $34 billion, which deal will make IBM the biggest in hybrid cloud, with Red Hat as the potential operating system of choice for most cloud providers. According to IBM, it expects growth in the use of cloud services to blossom in the coming years, with enterprises poised to make the switch from inexpensive computing applications to cloud-powered and cloud-centric applications. Red Hat will enable IBM to expand across the hybrid cloud infrastructure, which will ultimately combine on-site servers with third-party cloud computing. While IBM had partnered with Red Hat for over a year in integrating its cloud offerings - with Red Hat’s Open Stack private cloud platform and the public cloud by IBM, aimed to lure customers by enabling the use of Red Hat’s management for workloads in the IBM cloud. The deal to buy Red Had is the right acquisition that will help it expand its portfolio to boost the size of its cloud business and tap into the hybrid cloud market worth over $1 trillion. IBM has successfully paid over 60 percent premium on Red Hat's closing price of $116.68 a share as at Friday, 26 October. And the premium is closer to the 40 percent agreed on the terms of the deal. If the acquisition is concluded, Red Hat will become a unit of IBM, and perhaps keep its leadership and culture, but should it be terminated, Red Hat would have to repay IBM $975 million in cash, according to an SEC filing. The OpenJDK Project currently hosted on Oracle's Mercurial server, could be heading to GitHub through the company's move to open up the repos by moving it over to Git-based repos. While the standard Java moving to GitHub would afford developers more tools for automation, with Java developers working on projects outside the JDK (Java Development Kit) using GitHub having access to the familiar resources. Albeit, Oracle already moved Java Enterprise Edition (EE) repos to GitHub, which project had been succeeded by Jakarta EE at the Eclipse Foundation, though it can still be found on GitHub. The company's effort to examine the infrastructure for OpenJDK, Project Skara would have the repos moved to Git-based repos; and OpenJDK, which is the basis for Oracle’s edition of standard Java (Java SE), with the enterprise variant of Java could become a viable tool in the enterprise. The decision to move OpenJDK to GitHub, however lie solely in the hand of the community, and may perhaps happen in the timeline of JDK 12 due March, 2019 or shortly afterwards. Amazon launched Alexa for Business in 2017 to help enterprises in deploying and centrally managing the voice-activated assistant on a network, with support for a wide range of Amazon's smart speakers. Now, the company has enabled Alexa for Business integration with third-party devices, allowing the hugely popular voice assistant to be embedded into a range of office equipment from other smart device manufacturers. According to Amazon, device makers building with Alexa Voice Service (AVS) can now integrate their products with Alexa for Business, and customers can then manage these third party devices as shared devices and make private skills available through their Alexa for Business console. 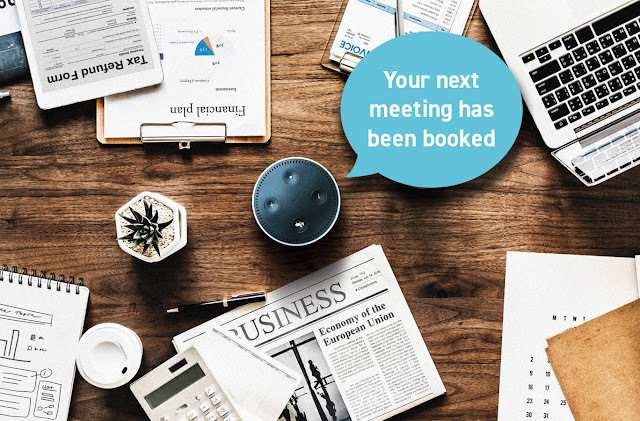 The move is intended to provide Alexa for Business customers with an expanded choice of Alexa built-in devices to use in their organizations - from conference rooms to shared workspaces. 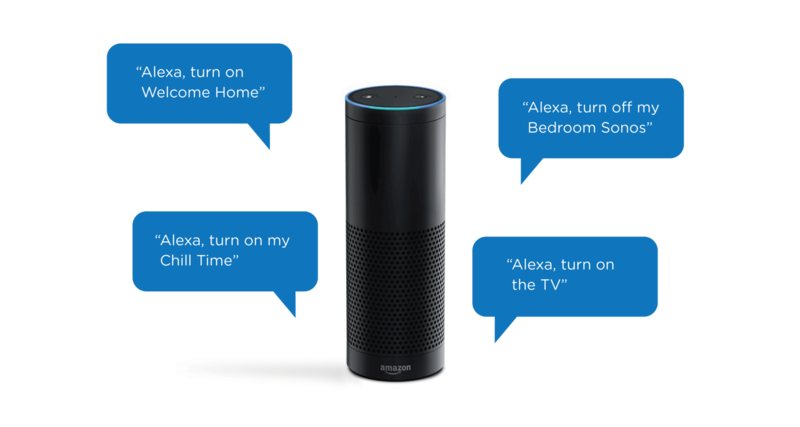 While AVS makes it easier for device makers to develop products with Alexa built-in, smart device manufacturers can add Alexa interface to their products and offer customers access to a growing number of Alexa features and skills. Albeit, Amazon is "relatively a newcomer" to the enterprise vertical, with products such as Alexa for Business and Chime video-conferencing tools now spearheading its onslaught into the business front. Alexa for Business will efficiently introduce Alexa to organizations and will provide customers the tools to manage Alexa devices, users, and skills at scale. Microsoft's Xbox Game Pass is an Xbox Play Anywhere service, incorporating Xbox One and Xbox 360 backward compatibility game subscriptions; with titles and number of games that varies over time and by country. While the subscription is charged monthly, and starting at $10 a month gives you day-and-date access to all of Microsoft’s exclusive games, and a sizable selection of other third-party titles, albeit many are not available in all countries. The connections between Windows 10 and Xbox One, has now made it possible for PC owners to purchase subscription for Xbox Game Pass, though for only compatible Xbox Play Anywhere games— mostly Microsoft’s first-party titles. And the service is locked down to the Windows 10 Store, with many third-party games missing from the available titles; with quite a few publishers making Universal Windows Platform (UWP) versions of their games, there isn’t much catalog to choose from the service. But it’s still an incredible deal, and given that there’s no PC equivalent, even though it's all the more irksome. The actual release date remains the biggest concern, and also far a larger problem is the fact that Microsoft has a limited PC library, while Xbox Game Pass on PC can only access Microsoft’s first party offerings and other Xbox Play Anywhere games. Microsoft, however thinks its first-party lineup games are compelling enough to justify the price tag of $10 a month, and it won’t be putting any more effort to build a larger library, at least not in the meantime. The "agile methodology" is making its presence more well-known, and, increasingly, teams are trying to adopt it to improve their performance when completing projects with increased efficacy and reduced costs. Among their many advantages, agile teams give you the ability to respond to changes quickly and with minimal disruption to workflow, but implementing it takes a more than a token commitment. You'll have to adopt a new workplace philosophy and should follow a few guidelines to make sure that your transition goes as smoothly as possible. In one sense, you're the team-building visionary who's going to bring the full capacity of the agile philosophy to work. At the same time, however, you have to allow for flexibility, leave some room for change, and give your team the confidence to air their opinions. Once the team is refreshed and back from their vacations, you'll need to get to work straight away by familiarizing yourself with the technology you'll be working with, the challenges at hand, and how you'll define your team's purpose. The team can't succeed if they don't have direction. Your job is to solve problems, but you can't tackle those problems if you don't know what they are. On top of that, not every problem is the one you should be addressing in the current moment. Identify the right ones, then get your team to work. If you and the team lose steam, you'll be less able to handle the challenges you'll encounter. Do your best to maintain a steady pace by encouraging the team to communicate openly and giving them the tools they need to do their jobs such as Loggly for managing their logs. This planning will come in the form of meetings, organized by you, with the purpose of identifying those short-term goals and how they relate to the long-term objective. It's the most effective means of communication. It allows you to convey the maximum amount of information in the most efficient manner possible and cuts down the likelihood of your message being misinterpreted. You have to have motivated individuals to get the best work. Fill your team with members who have the drive to succeed, and give them the responsibility to handle what they need to in the way they best know how. Remember, your job is not to micro-manage the team, order them to perform specific tasks, or make big decisions on their behalf. Your job is to facilitate, and part of doing so is allowing your team to form the structure that works best. This speaks for itself. Use simple terms when communicating and simple metrics to measure your success when you can, else you'll run the risk of over-complicating things unnecessarily. This will allow your team to measure how effective their efforts have been, and adjust strategy accordingly to better meet their goals. Microsoft Machine Learning for Apache Spark (MMLSpark) is an open source toolset aimed at expanding the distributed computing framework of Apache Spark, comprising of deep learning and data science tools, including seamless integration with Microsoft Cognitive Toolkit. 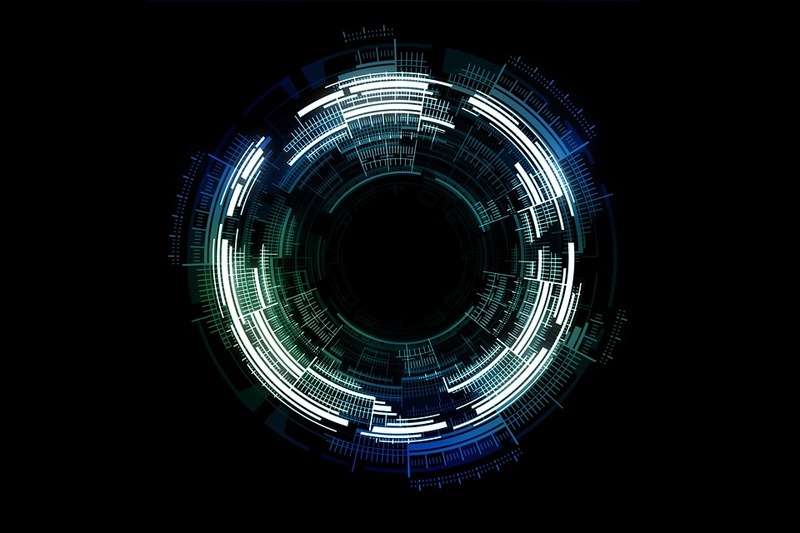 These tools enable powerful and scalable predictive and analytical models for a variety of datasources, and also brings new networking capabilities to the Spark Ecosystem. The MMLSpark project has undergone a major facelift to better integrate with many deep learning and data science tools, including seamless integration of Spark Machine Learning pipelines with Microsoft Cognitive Toolkit (CNTK), LightGBM and OpenCV. 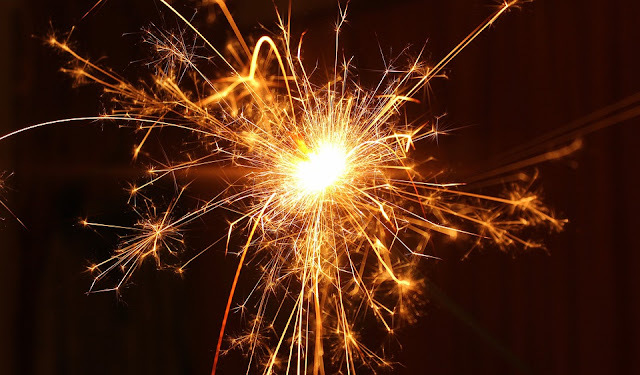 And the integration with Microsoft Cognitive Toolkit (CNTK) and LightGBM, and other third-party projects such as OpenCV may perhaps turn Spark into a service, allowing Spark computations, such as machine learning predictions to be served via the web, and the interactions with third-party services via HTTP. For instance, LIME on Spark can provide annotated results for the predictions served by an image classifier, an immediate way to determine whether the classifier is working correctly. In the same vein, MMLSpark will provide easy to use SparkML transformers for a wide variety of Microsoft Cognitive Services and for production grade deployment; the Spark Serving project will enable high throughput, sub-millisecond latency web services, backed by Spark cluster. Spotify is perhaps the most popular music streaming platform and provides to its users instant access to millions of songs; but there's one little problem - in that Spotify music is protected by DRM, which limits how users enjoy the songs in many ways. Fortunately, there are quite a number of Spotify Music Converters in the market, but AudFree offers the best well-designed converter for Spotify users to download over 30 million DRM-ed songs/playlists/albums as MP3, FLAC, WAV, AAC and for offline listening on all devices and players even without a premium subscription. 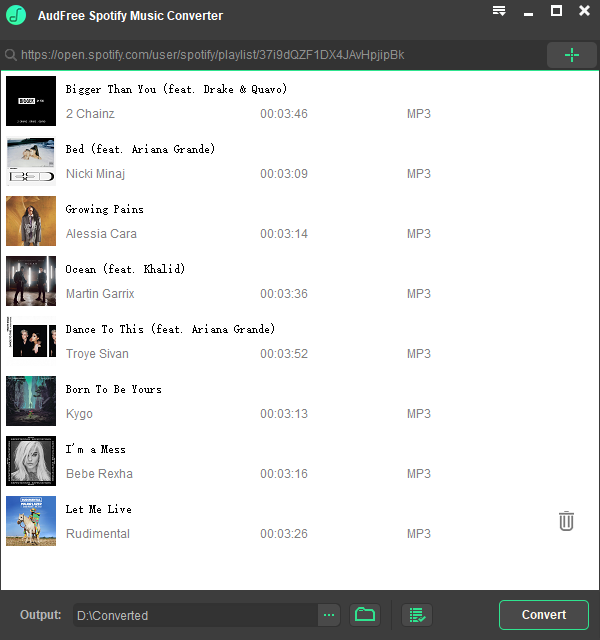 AudFree Spotify Music Converter for Windows converts all DRM protected Music from Spotify to MP3, FLAC, AAC, WAV formats losslessly and you are able to freely download any Spotify track and playlist offline on even supported devices without any limitations. 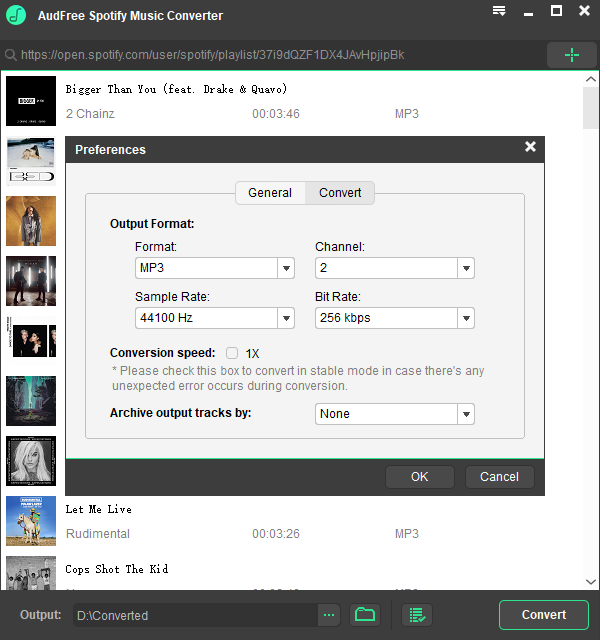 Easily Convert Spotify Music to MP3, FLAC, AAC, WAV formats. Freely Download any Spotify track and playlist offline. All-in-One Spotify Music Downloalder & DRM Remover. Playable of Spotify Songs/Playlists on Any Device and Player. Download and convert Spotify music in batch at 5X faster speed. Preserve 100% original ID3 tags and metadata info of Spotify songs. Firstly, download the Windows version of AudFree Spotify Music Converter on your Windows PC. And once installed, then double click the shortcut icon to launch the software from the desktop. AudFree Spotify playlist downloader offers two methods to import songs, playlists and albums from Spotify: drag and drop Spotify music to the AudFree conversion window or copy URL of Spotify tracks via right click on the Spotify item, paste the link to search box in AudFree and then press '+' tab. To convert Spotify Music to MP3, click the menu bar -> Preference to open a new window, in which you can choose favorite audio format as the output format from MP3, FLAC, M4A, AAC, M4B and WAV. Generally speaking, MP3 is set as the default output format by AudFree Music Converter for Spotify. And you can customize other output parameters, like bit rate, sample rate, audio channel, etc. Also, you can organize the output music library by setting the output tracks by albums or artists. Then click the 'Convert' button to start the converting process. AudFree Spotify Music Converter for Windows will automatically remove DRM from the Spotify tracks and convert the songs to DRM-free MP3 audio files. After the conversion, you can freely play your Spotify music on any MP3 player for offline listening. Additional tips to make the conversion process more stable and to avoid unexpected errors, it is recommended that you set the conversion speed as 1X. And make sure you download and install the Spotify app from the official website. 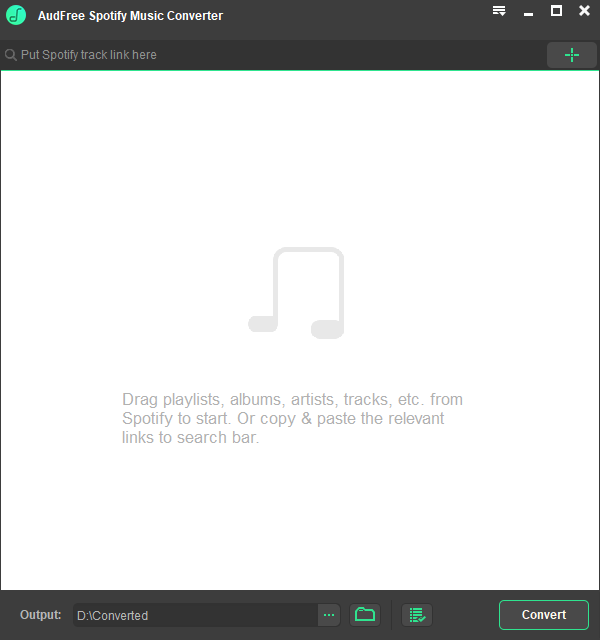 AudFree Spotify Music Converter is fully compatible with the official Spotify application and can be launched automatically with the software. 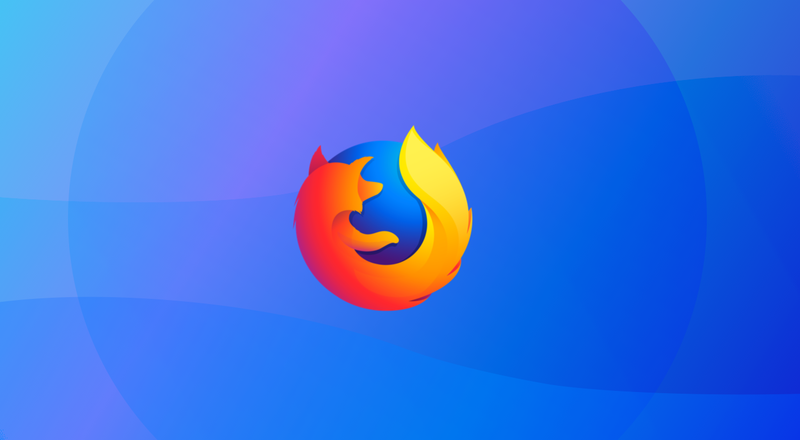 Mozilla has been busy redefining its approach to ad blocking tracker to avoid breaking websites and keep advertisers from following your online activities, as Firefox 63 make debut with enhanced tracking protection. While the tracking protection originally debuted in Firefox 57 as an option to block advertisements, with the intent of entirely blocking trackers from following its users as they surf from site to site. Firefox new tool called enhanced tracking protection, is rather a little step-down on its earlier approach of keeping websites and advertisers from tracking its users online activity. According to Peter Dolanjski, Firefox product manager, it more surgically targets the problem of cross-site tracking without the breakage and wide-scale ad blocking which occurred with the initial Tracking Protection implementation. As most websites track you through cookies placed on your computer or mobile phone, the cookies can also serve a handful of other good purposes like remembering your language preference or the last time you visited an online store, what was added to the shopping cart. But still, cookies can really be a huge privacy nuisance, as it also record your identity and help advertising companies to track where you've been around the web. Mozilla has sort to bridge the gap with Firefox 63 preferences, where you'll now see a section for handling third-party cookies, that is if you enable ad blocking, there are two options of blocking trackers or blocking all third-party cookies, to help users to better safeguard their personal information. Microsoft AI is now powering almost all of its search algorithms, with Bing App camera feature now able to find a celebrity or someone that looks just like you using your selfie. The feat is perhaps a replica of the feature in the Google Arts & Culture app for iOS and Android, which though not available in most locations because of some privacy laws, allows you to take in-app selfie which it matches to old art museum portraits from its database. While the Bing app uses the selfie picture to find a celebrity lookalike, in most cases it does turn up your exact image featured in some popular platforms like social media or Wikipedia pages. 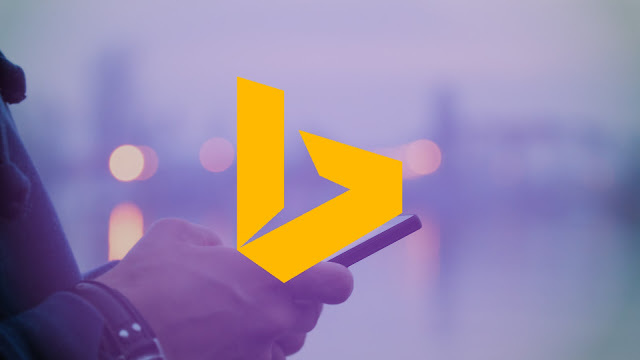 The feature uses the visual search technology in Bing, and also employs Bing Entity Search capability which enables developers to embed Bing search results in any application bringing with it rich context about people, places and local businesses to any app or website. Microsoft research in AI date back to over two decades, albeit it was restricted to internal deployment, but now the company is bringing it to everyone through simple and useful tools. The feature is rather a useful tool if you wish to find your doppelganger, that is, if you believe in the fictional look-alike or double of a living person, sometimes portrayed as a ghostly or paranormal phenomenon in some folklore. While Firefox search-ad deals with Google is one of the major ways the nonprofit web company, Mozilla brings in revenue, the company is testing a virtual private network (VPN) service offering to see if users will be willing to pay to get better privacy. The VPN service will ensure that internet traffic from Firefox and the server is encrypted to better thwart the efforts of any third party to snoop on its users online activity. 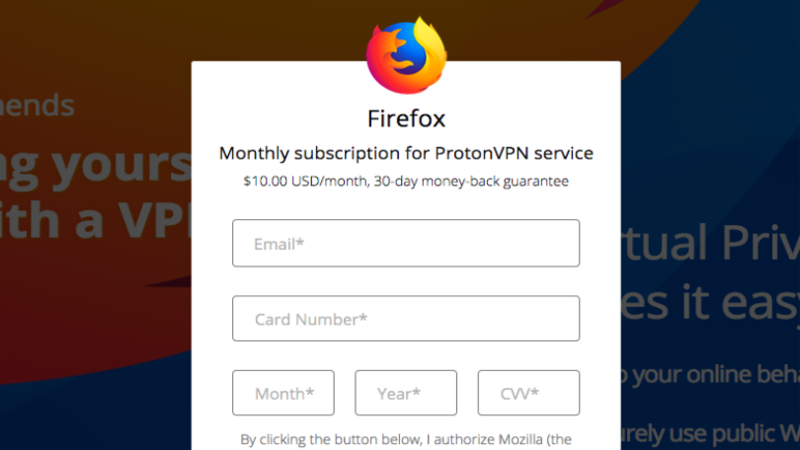 Mozilla is partnering with the Switzerland-based ProtonVPN, which VPN service will be available for Firefox on Windows, MacOS, Linux, iOS and Android; albeit the company is currently testing the offering with a small portion of Firefox users in the United States. The issue of privacy is one that has overtaken the Internet service providers lately, and has often been a great bane for most internet users; Mozilla is harping on this new approach to secure the personal information leakable in scenarios like data breaches and the eavesdropping. And perhaps, Mozilla is only trying to find out if your privacy will worth anything to you; if you are ready to pay $10 a month to get a better privacy cover. 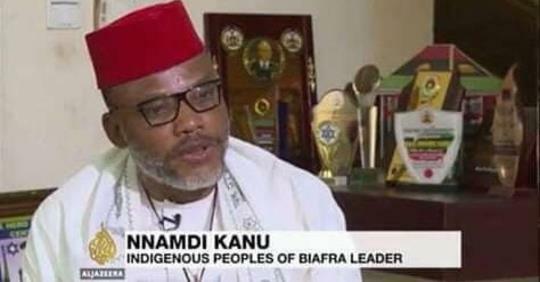 Nnamdi Kanu, the leader of the Indigenous People of Biafra (IPOB), was live on Radio Biafra, on Sunday 21st October, 2018, after months of speculations about his whereabouts during the military invasion of his home. While the live broadcast is now available in some recorded format, like here on YouTube, and also the audio recording is available on the Facebook page of Radio Biafra. The Nigerian Internet space was at a standstill as the IPOB leader broadcasted live from Jerusalem, Israel and the following memes were singled out from the huge reactions witnessed on the social media. Lai Mohammed: We will attack Israel if they don't deport Nnamdi KANU. The IPOB Leader was last seen in September 2017 after a raid by the Nigerian Army on his country home in Abia State, shortly after his release from the prolonged detention on charges of treason. The Nigerian government had charged him with treason, but a judge of the federal high court, Binta Nyako granted him bail after 18 months in detention. The successor to SSL (Secure Socket Layer) encryption protocol, Transport layer Security (TLS) serves to secure communications between the browser and destination server so as to thwart hackers from intercepting and reading the data. While the Internet Engineering Task Force (IETF) has recommended that older TLS versions 1.0 and 1.1 should be discontinued, given that several aspects of the architecture are neither as strong or robust to cover the security requirements of the Internet today. And the specific problems with TLS 1.0 that require immediate action, remains that TLS 1.0 does not support modern cryptographic algorithms, which poses some risks to our valuable information, such as log-on credentials and credit card numbers. 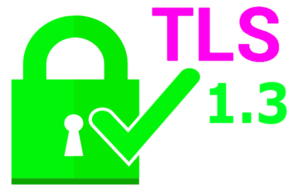 As a result, both TLS 1.0 and 1.1 are now obsolete and to be replaced by the later newer versions 1.2 and 1.3, with TLS 1.3 as the most recent update, haven been released in August by the Internet Engineering Task Force (IETF), and the major browsers haven introduced support for the draft specification of TLS 1.3. 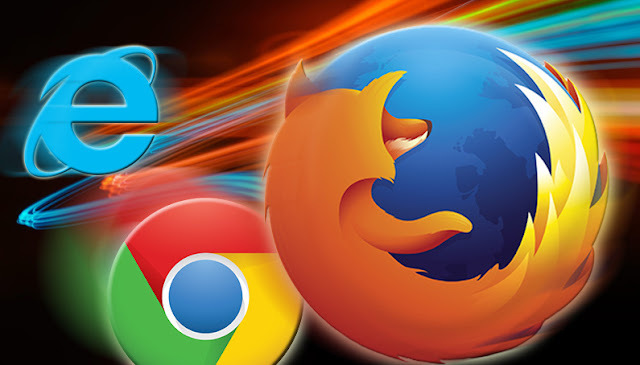 The four biggest browsers, Chrome, Firefox, IE or Edge and Safari have all set the timeline when they will drop support for the TLS (Transport Layer Security) 1.0 and 1.1 encryption protocols. 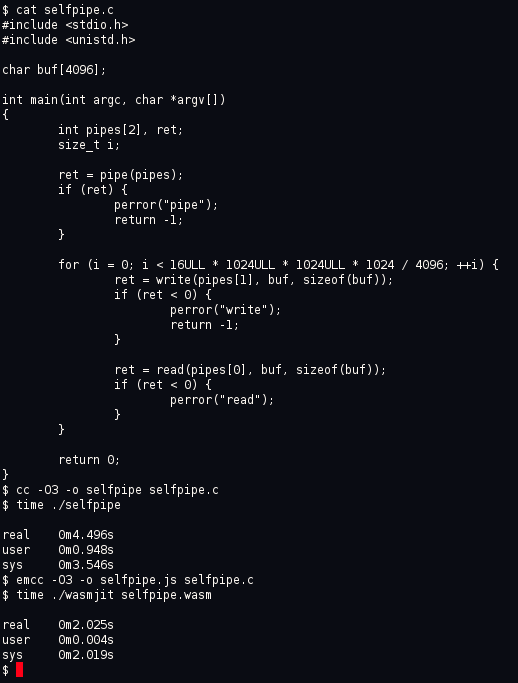 Google Chrome will start deprecating the protocols starting from Chrome 72, which is expected to ship in January 2019 with warnings in the DevTools console. And support for TLS 1.0 and 1.1 will eventually be dropped with Chrome 81, slated for release around March 2020. And Firefox will disable support for TLS 1.0 and TLS 1.1 starting in March of 2020, with changes appearing in pre-release versions of Firefox (Beta, Developer Edition, and Nightly) earlier than March 2020. Apple on its part will remove support for TLS 1.0 and 1.1 from Safari in March 2020 via updates to macOS and iOS. Also other browsers have made similar announcements, including Microsoft Edge all setting almost same timeline and plan to make the same changes. 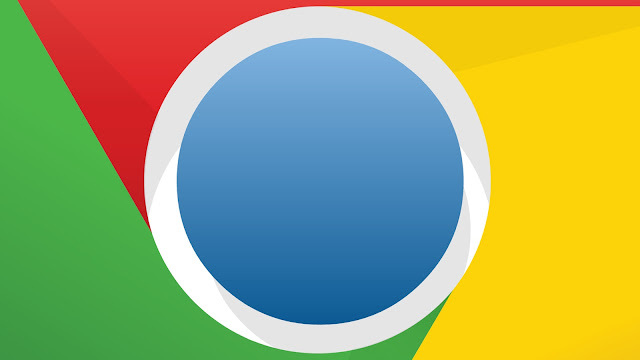 Google has released Chrome 70 for Windows, Mac, and Linux, with the expected reversal of the automatic logins to its services through an option to disable the automatic sign-in, and allowing users to turn off web-based sign-in linking within the browser. Chrome 70 also bring with it the full desktop take-on on the Progressive Web App (PWA) functionality, which feature served as new way to deliver amazing user experiences on the web, whereby mobile applications behave more like a hybrid of regular web pages (or websites) and mobile applications. The desktop PWA shows up in the Start Menu and just like you'd expect a native app on Windows to function; it can serve up notifications using the Action Center with the added support for native Windows 10 notifications in Chrome. It came as no surprise as Google has been advocating for Progressive Web Apps (PWAs), with the initial touting of it as a way of improving the experience of application and the actual alternative to native desktop apps. While the term "native" is key to PWAs, as it does not necessarily require an internet connection or a browser to function, and Windows isn't the only OS to receive PWA support; with Linux and macOS slated to get the functionality with Chrome 72. Google is definitely shooting for the native experience, and there is no denying of the fact that the implementation remains a core Chrome functionality, devoid of the windows tabs and toolbars. Aside the PWA support, Chrome 70 also expands the Credential Management API support for public key credentials, which enable websites to use such features like Face ID and fingerprint as additional security measures for two-factor authentication. Meanwhile, Chrome 70 is still rolling out, but you can manually check for the update from the 'About Google Chrome' menu, by clicking on the (three dots) button in the top right, and navigating to help. GitHub, where the world's largest community of developers discover, share, and build software, has added a new workflow tool called GitHub Actions to enable Continuous Integration/Continuous Deployment (CI/CD) right on the platform. 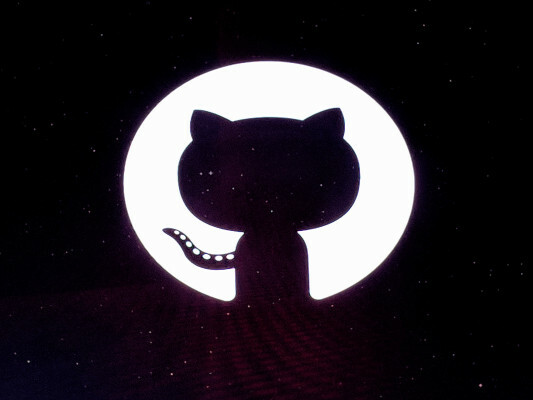 While CI/CD requires that developers integrate their code into a shared repository several times daily, with GitHub Actions developers are able to build, deploy, and update projects on GitHub or other platforms without having to run the codes themselves. GitHub Actions bring customizable workflow capabilities that allow developers to build and share code containers to run a workflow, even across multi-clouds. It is quite similar to the Apple Shortcuts task management app and the IFTTT app which enables communication between apps, albeit the GitHub Actions run on containers, and developers can integrate their tools with custom actions or those shared by the community. The tool is free for open source use, but will perhaps require payment for commercial usage and supports cloud deployments, code containers among others, allowing for continuous integration and deployment right within GitHub itself. GitHub Actions is still in beta, and other tasks that can be done with the tool include packaging NPM module and sending SMS alert. The engine tracks the types of values by attaching a tag to the value. But now, Firefox ensures a great throughput, with improved load times and streaming baseline compiler, which helps to compile code faster over the network, making calls between JS and WebAssembly faster than non-inlined JS to JS function calls. Facebook has begun rolling out 3D photos in the News Feed and also viewable with virtual reality headsets; while the 3D photos will help to bring scenes to life by the facets of depth and movement in the still images. 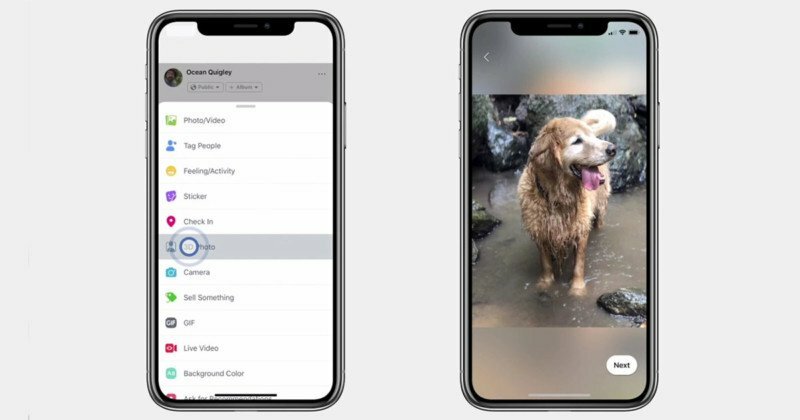 The company first announced their intent to bring 3D to the News Feed and VR photo option in May, but the feature was finally launched at the Facebook 360 event, with the technology touted as running on the depth map data stored in Portrait mode photos taken with the iPhone 7+, 8+, X and the newer versions. A photo taken using the Portrait mode on a compatible iPhone can be shared with the 3D photo on Facebook to allow viewers to pan and tilt while scrolling, akin to looking through a window. The “3D photo” option has arrived for most users and will appear right within the list of post options for people using compatible iPhone when they want to make an update. And perhaps, the rest of us on Android will have to wait for a later release. Albeit, it is quite less advanced as the 3D reconstructions teased by Facebook back in May, and there’s still no word out if or when we’ll see the actual availability of the full feature on Facebook. 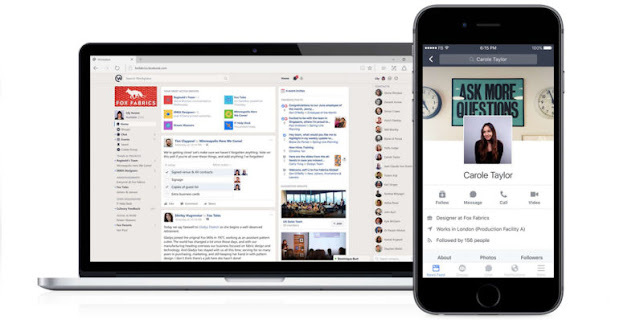 Facebook Workplace is a collaborative platform launched in 2016, that offers standard chat functions and ability to share files, including: photos, videos, voice clips, emoji and GIFs, between workers within an organization. The chat app is used by over 30,000 organizations worldwide, but hitherto the Workplace Chat was only enabled for communication between direct colleagues in an organization. The company at the Flow conference for Workplace, announced that the chat app, which is part of the enterprise social network and equivalent of its Messenger app, now supports communication between workers in separate organizations. 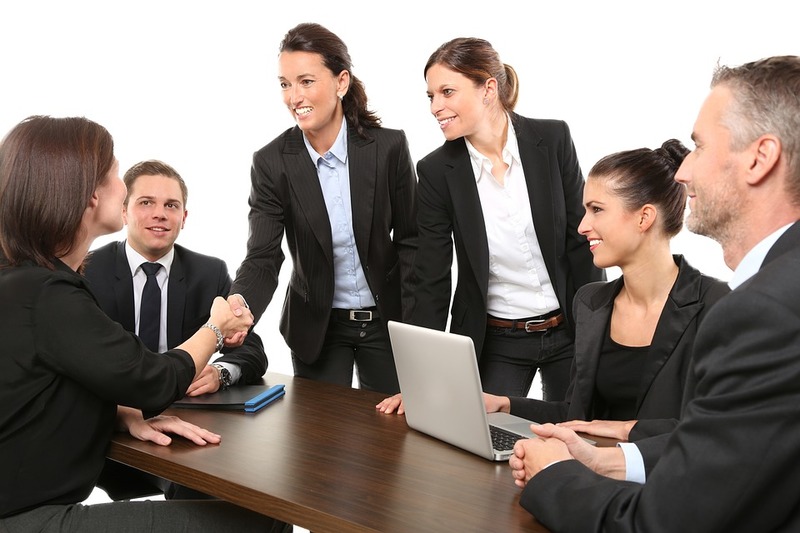 It works with Standard and Premium versions of Workplace, and requires a corporate email address, as well as the creation of a corporate account, and individual logins using corporate email addresses. Albeit, the first major additions to Workplace, is allowing users to interact with external partners, suppliers and agencies within the application. The new update makes it possible for up to 50 participants to interact via text, voice and video in one-to-one or group conversations; and it will help users be more productive on Workplace with the companies they work with every day, according to Julien Codorniou, Facebook’s vice president for Workplace. Other features launched include pinned threads, that make it easier for users to keep track of conversations, with the ability to “pin” up to 15 important messages at the top of the app. And the “do not disturb” mode which allow users to turn off alerts and notifications when busy or away, and a new “replies” feature that enables direct responses to an individual chat within a broader Workplace conversation. 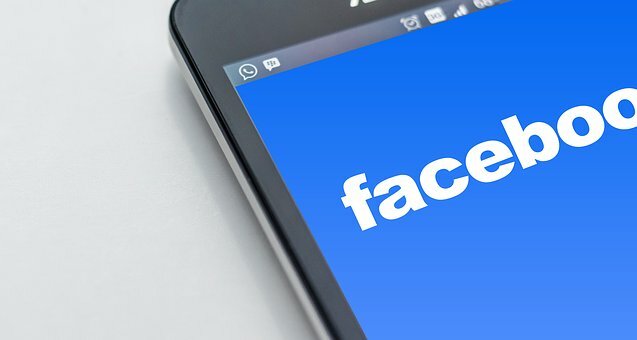 Additionally, Facebook plans to bring Safety Check to Workplace, which feature is one of the popular from its consumer platform used by millions to alert friends and family of their whereabouts during a crisis situation. Microsoft Infer.NET machine learning framework has evolved from a mere research tool to become the machine learning engine in a number of Microsoft products, including: Office, Xbox and Azure. Now, the company has open-sourced the Infer.NET framework, and it will eventually become part of the ML.NET machine learning framework for .Net developers, extending ML.NET for statistical modeling and online learning. Initially, Infer.NET was envisioned as a research tool released for academic use in 2008, and there have been hundreds of papers published using the framework across a variety of fields, from information retrieval to healthcare. In this age of abundance of machine learning libraries, Infer.NET will enable model-based approach to machine learning, which allow incorporation of domain knowledge into statistical model. The framework can build a bespoke machine learning algorithm directly from a model, instead of having to map a problem onto a pre-existing learning algorithm, Infer.NET will actually constructs a learning algorithm based on the model provided. The model is compiled by the framework into high-performance code to implement deterministic approximate Bayesian inference, which allows for substantial scalability. And the use of deterministic inference algorithms is complementary to the predominantly sampling-based methods of most other probabilistic programming frameworks. The Infer.NET team is looking to engage with the open-source community in developing and growing the framework further, and Infer.NET will become part of ML.NET – the machine learning framework for .NET developers. The announcement by Google that it will be shutting down its social networking platform, Google+ came as a shocker, as the company cited the issue of a compromise on its system owing to a bug that led to the breach of over 500,000 users' data on the social network. 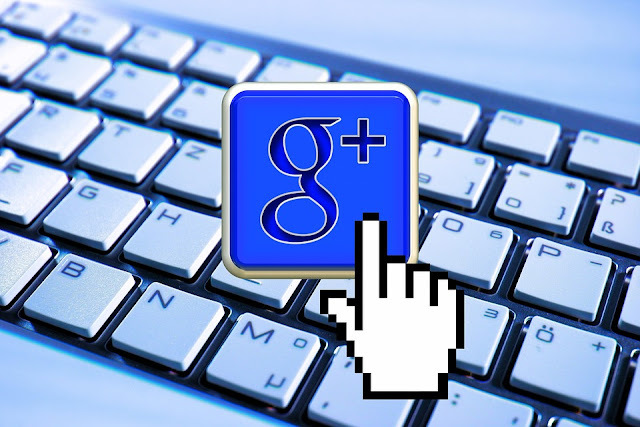 Google+ isn't just useful as an alternative to the other social networking sites like Twitter and Facebook, but as it present stack differentials, which bothered on business usage and collaborations. And Google+ page offered a way for businesses to show their reputation and garner trust, as it has come to serve as a basis for ownership and authorship, which have become important in the effort to curb the spread of fake news. Google claims that the Google+ bug discovery has spurred its focus to expand users' privacy protections, with a new initiative called Project Strobe, which will give users more control over what is shared with third-party apps. The company will also expand the control to include apps that interact with Gmail and Android, as it intends to limit how apps gain access to users data on Android phones. Additionally, third-party apps that access sensitive Gmail contents via APIs will need to undergo a thorough review as part of the expanded protection program. And perhaps, Google's initial withholding of information about the breach likely underscored the company's proactive stance on privacy protection. The internet has revolutionized the way people get news and opinions across, of which blogging and social media takes a huge chunk; no doubt bloggers are becoming more prominent and influential in the society with the proliferation of the Internet. 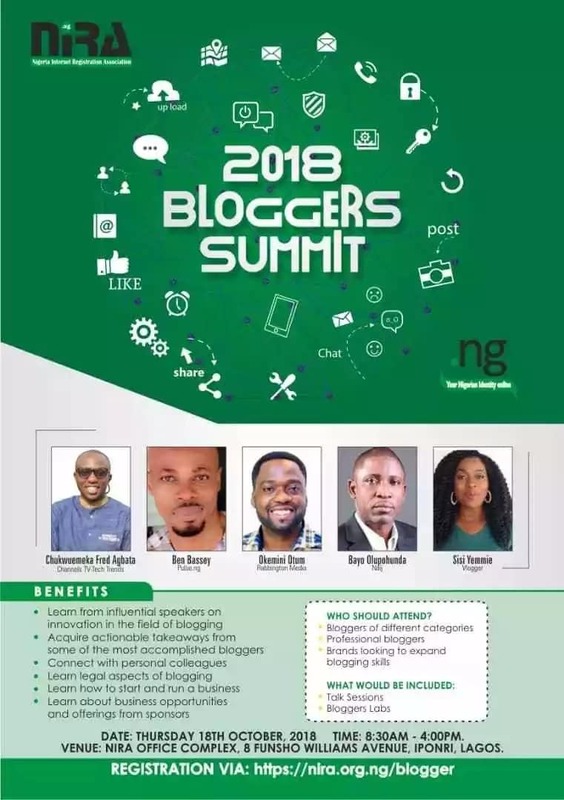 And considering the huge influence bloggers in Nigeria are currently commanding and the need for the right environment to foster creativity in the blogosphere, the Nigeria Internet Registration Association (NiRA) has announced the maiden edition of the Bloggers Summit. The 2018 NiRA Bloggers Summit will aim to bring the blogging community and stakeholders in Nigeria together to learn, network, and collaborate on the further growth of the online community. The event would comprise of educational sessions, influencer interactions and sessions on blog monetization, with the bloggers working with the different brands and discussions around topical issues such as the legal impact of online transactions, and opinionated articles on the society and individuals. There will also be opportunities for brands to take on booths, to exhibit products and services by sponsoring or exhibiting at the summit. As the maiden event, interested participants are requested to register via the online portal: https://nira.org.ng/blogger. The event is scheduled to hold on Thursday, October 18, 2018 at 8 Funsho Williams Avenue, Surulere, Iponri, Lagos state. Apple's latest update, iOS 12 has already hit a milestone barely 3 weeks of launch, as it surpasses the predecessor, iOS 11 and now running on 47% of all iOS devices; with iOS 11 stuck at a little over 42%, according to Mixpanel report. The new software boosts of some nifty features: like, group FaceTime chats, Screen Time (Tracks device use), New Emojis, Smarter Notifications and Siri Enhancements. And it is designed to be faster, among other features, with some particularly positive reviews and given that the timing of its release is most expedient, with the myriads of shortcomings associated with the later update. While the new software made debut on September 17, it is already running on 47% of iOS devices; this uptake rate is quite similar to iOS 10, which recorded 48% installments on devices after barely two weeks of launch. Albeit, the overall uptake record is still that of iOS 9 launched on September 16, 2015 - which in 10 days, garnered 50% of iOS device installment base, and a month after, clocked 62% of all devices, against iOS 8 uptake of 29.65% in the same period. In comparison, it almost took iOS 11 two months when it launched in 2017 to reach a 50% adoption rate. Google officially announced WebP in September 2010, as an alternative image format with significant bytes savings of about 30% - 80% compared to JPEG and PNG. While Mozilla initially did not buy into the image format, citing insufficient improvement over the more widely used formats like JPEG and PNG. 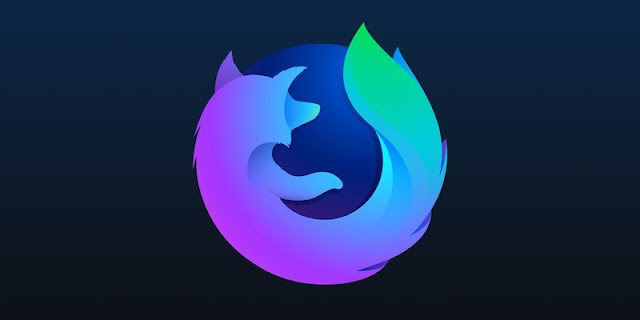 Now, Mozilla after seriously evaluating the WebP image format, has formerly endorsed it for Firefox in it's effort to speed up the web with a better image technology. 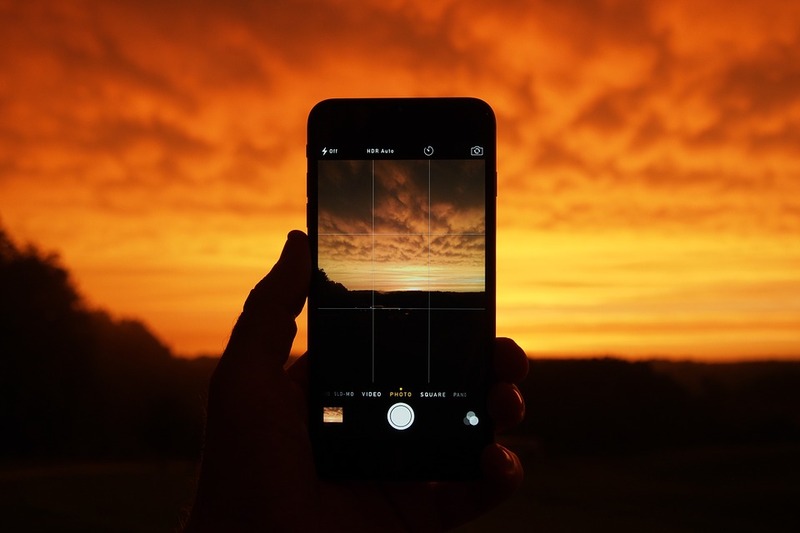 The new image format was successfully implemented across Google's social networking platforms, including Google+ Android App, and a host of other web service companies like Facebook have already joined the WebP bandwagon. 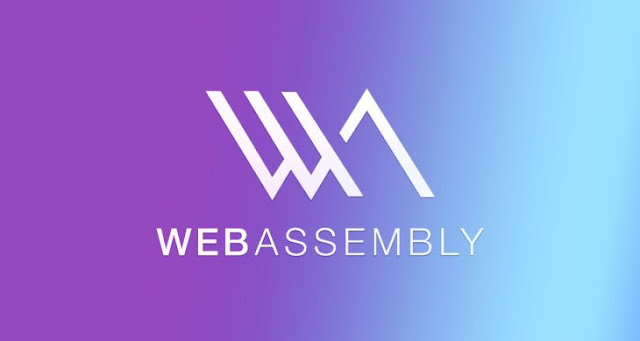 WebP's unique features includes ability to render transparent sections of an image with lossless compression as in the case of PNG and lossy as in JPEG (Lossy compression is shrinking of file with data losses, while Lossless compression retains original image). 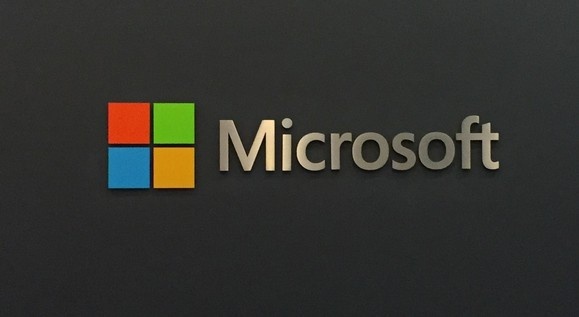 Also, Microsoft had earlier announced the support for WebP on Edge browser, which arrived with the new version of Windows 10 introduced by the company. The compatibility problems with websites that had relied on WebP without any fallback to JPEG or PNG have been significantly reduced with the more widely adoption of the new image technology, with Microsoft's Edge and Mozilla's Firefox haven joined the party. Albeit, it's not yet uhuru, as Apple's Safari still don't support WebP and every iPhone/iPad relies on Apple's browser technology, as such Apple's choice carries a lot of weight in the mobile ecosystem. Amazon has added a new Alexa capability called "Skill Connections" to avail developers the functionality of another skill in their own skillset with minimal code changes. The new skill connections will enable developers to do more for their customers, by using the functionality already available on other skills, thus customers will not have to invoke the other skills, as they've made it possible with only minimal code changes in their own skills. According to Amazon, when you use skill connections, you can pass useful information to the other skill with the request. For instance, if your skill sells last-minute show tickets, you can pass the theatre address and show time as part of the taxi reservation request. The company have provided the developer preview, with printing skill from HP, food reservations provided by OpenTable, and taxi reservations provided by Uber. While Epson and Canon are planning to provide for print related services. And if you'd like to take advantage of services provided by other skills, or if you'd like to provide services for other skills to use, you can apply to participate in the preview by filling in the short survey here. Once you are accepted into the preview, you can send requests for any of these actions from within your skill, and Alexa will automatically route the request to the right service provider. The overriding idea behind the Connection is to allow less-popular skills tap into the near-universal Alexa functionalities, making it a more capable and frictionless assistant in the process. Jigsaw is the name given to Google's cyber security unit, which unit has been saddled with the task of developing bespoke privacy applications, with the likes of Project Shield and Intra privacy app among their creation. The company has launched several technology products to help in the fight against government censorship, such products includes: Project Shield (which protects websites against DDoS attacks), Digital Attack Map (live data visualization that maps DDoS attacks) and uProxy (new browser extension that allows contacts share trusted pathway to the web). The latest offering from their stable is Intra, an anti-censorship and privacy app used in checkmating hostile government regimes from censoring the internet and manipulating traffic. Intra app is designed to thwart common techniques employed by governments in censoring the internet, and has been in testing with activists in Venezuela, as Google had wanted to keep the trial to a small group. 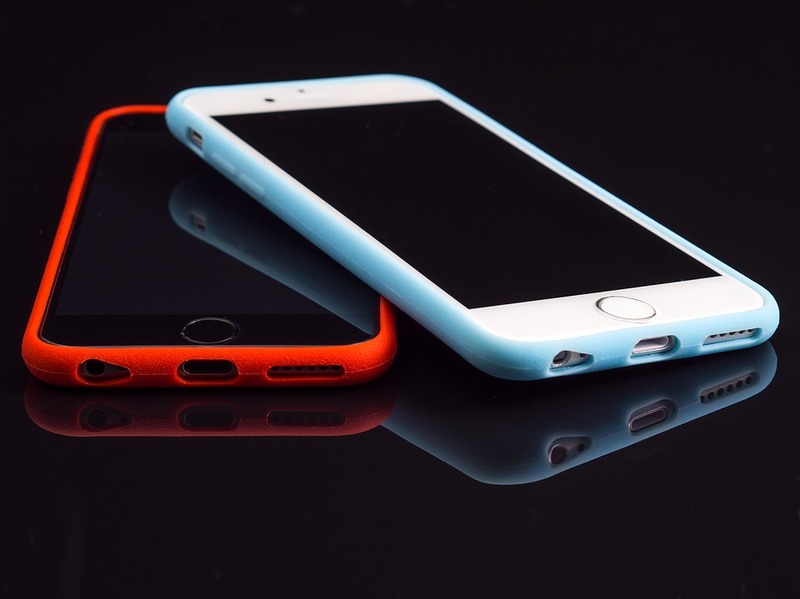 It effectively takes on Domain Name System (DNS) manipulation, also the most common technique employed in the spread of malware, by creating an encrypted connection between your smartphone and the DNS servers, which makes it more difficult to intercept the traffic. And Intra will automatically point the device to Google's DNS server, but you can change it to some other servers like Cloudflare's 1.1.1.1 via the settings. Albeit, this encrypted connection comes by default on Android 9 Pie, but Google wants the other millions of users on Android that don't have the latest software to have that same protection by releasing the app. The app is said to be compatible with about 99 percent of Android phones, which is quite comforting since over 80 percent of Android's users are still stuck with the old version of the mobile operating system. The emerging technology, robots are growing at an alarming rate, with statistics pointing to over 1.2 million of these machines coming to factories worldwide by 2018; Microsoft wants to be part of this growth with the announcement of an experimental Robot Operating System (ROS) for Windows. While robots have been saddled with cases of incessant poor software protection, including outdated software, and exposed IP addresses which poses a higher risk for hackers gaining easy access to the machines. 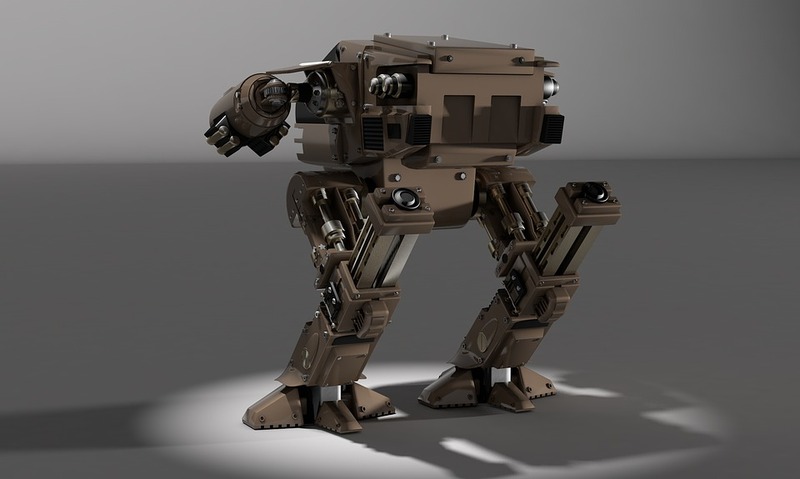 The case of ABB robots which were reported to have been remotely programmed by reversely-engineering the RobotWare program and the RobotStudio software, allowing the machine's network to be hacked and switching the robot to draw a straight line, is a pointer. These findings raised serious concerns about the more general automations of the future. Albeit ABB has since fixed the flaws in its robot's software; the advancement of robots calls for the development of tools infused with artificial intelligence technology to augment human abilities in the machines. ROS for Windows consist of libraries and tools to help in the building of complex robots: both industrial and personal, which are ready for deployments around the world with the cutting-edge robotic projects. These advanced robots will complement our lives, in the home and at the office. For instance, warehouse robots have made it possible for online shoppers to get next-day deliveries, and many homes are turning to robotic vacuum cleaners to keep their floors clean. With ROS for Windows, developers will be able to use a set of toolset along with rich AI and cloud capabilities to bring intelligent edge to robotics with advanced features like hardware-accelerated Machine Learning, computer vision, and other Microsoft technologies. Microsoft demonstrated a ROBOTIS Turtlebot 3 robot at ROSCon 2018 in Madrid, Spain, running the ROS release known as Melodic Morenia, that recognizes and steers toward the person closest to the robot. The Turtlebot 3 robot runs Windows 10 IoT Enterprise on an Intel Coffee Lake NUC using a new node that leverages hardware-accelerated Windows Machine Learning. The company has scheduled to host Windows builds for ROS1 and shortly ROS2, as well as provide documentation, development and deployment solutions on ROS for Windows. And it's working with Open Robotics and the ROS Industrial Consortium to extend the advancement in ROS to improve the productivity and return on investment of industrial robots. Google has announced a new technology, dubbed Project Stream, which is to serve as test ground to solve some of the biggest challenges of game streaming, and a big step forward in the efforts to bring blockbuster AAA games to online streaming platforms. 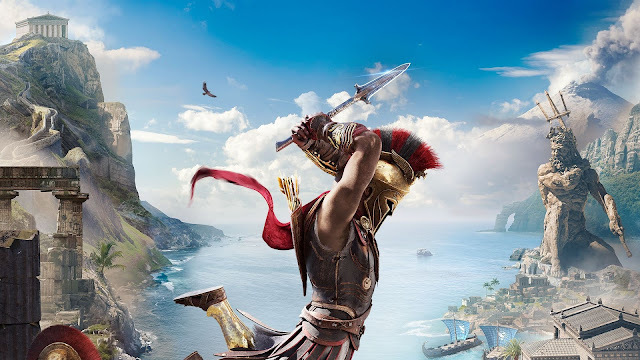 The initial test for Project Stream will involve the streaming of the upcoming premiere of Ubisoft's Assassin’s Creed Odyssey on Chrome for Windows, Linux, Mac and ChromeOS; though only a "limited number of participants" will be able to experience this free game stream starting on October 5, 2018. 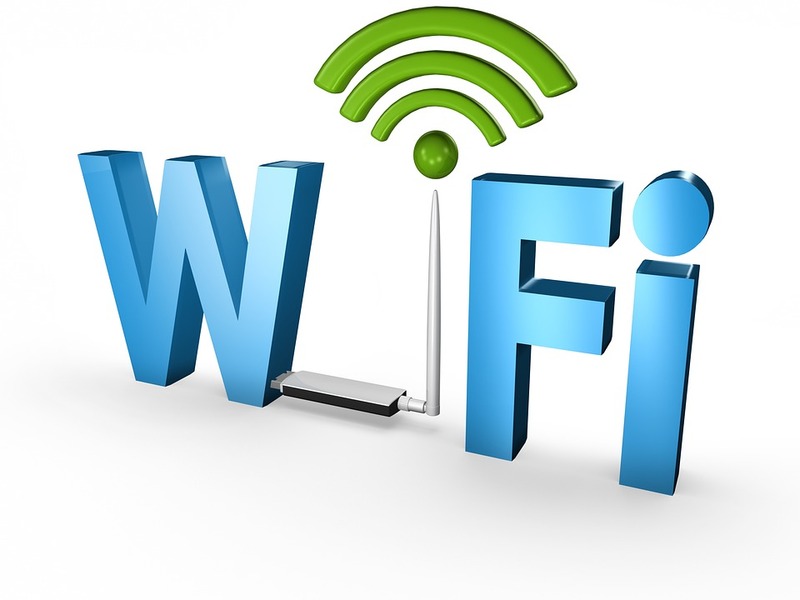 According to Google, the test is meant to push the limits with one of the most demanding applications for streaming — a blockbuster video game; while 25Mbps Internet connection is recommended for the test service and Google/Ubisoft accounts sign up. 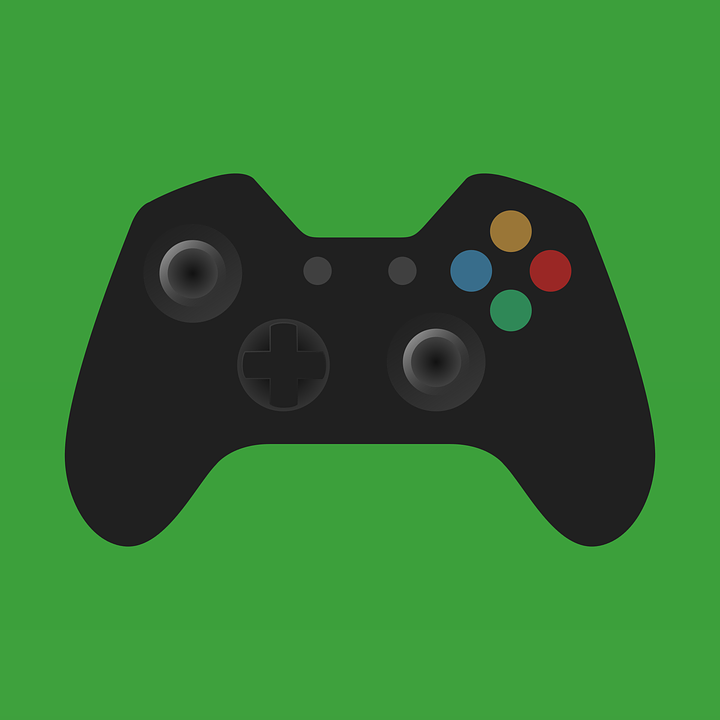 The streaming of such graphically-rich content requires near-instant interaction between the game controller and the graphics on the screen, which could pose a number of challenges. And the creativity behind these AAA video games is extraordinary—from incredible detail and life-like movement of the characters, including the skin, clothing, and hair, to the massive scale of the virtual world in which the game unfolds, down to the last blade of grass. While the streaming of TV or movies may be comfortable with a few seconds of buffering at the start, but the streaming of high-quality games requires latency measured in milliseconds, with no graphic degradation. As every pixel is powered by an array of real-time rendering technology, artistry, visual effects, animation, simulation, physics and dynamics. Google is inspired by the creators who have spent years crafting these amazing games: adventures and experiences, and hope to build the technology that will support and empower that creativity. 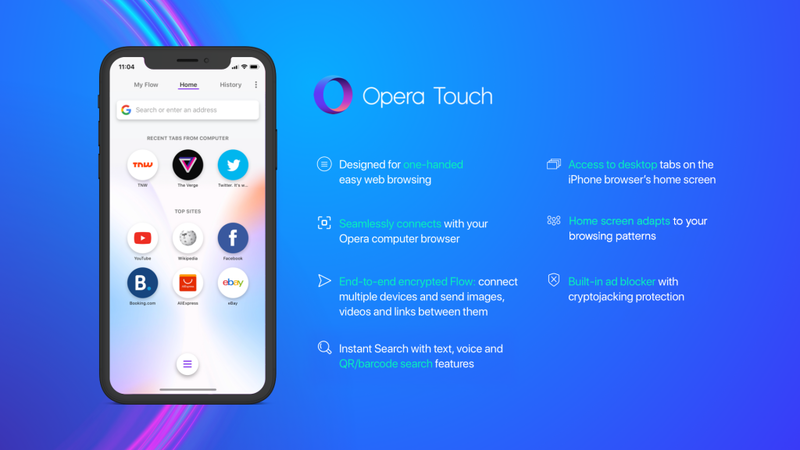 Opera has finally launched Touch browser on Apple's platform, with built-in Ad-Blocker and Fast Action Button for quick access to search and recent tabs, while the browser is capable of syncing data to Opera Desktop by the QR code scanner. The new Opera Touch was build to match the beauty, speed and ease of use of the new iPhone line and its unique features like the Fast Action Button afford users more control of the browser, as the navigation was designed to be usable with just one hand, making it a lot easier for users to browse the Internet. According to Opera, about 95 percent of iOS users in the US stick to their device's default browser, which is the Apple Safari, and they want to change the norm by encouraging all iPhone users to give the new Opera Touch a try – as it might just be better than their current browser. 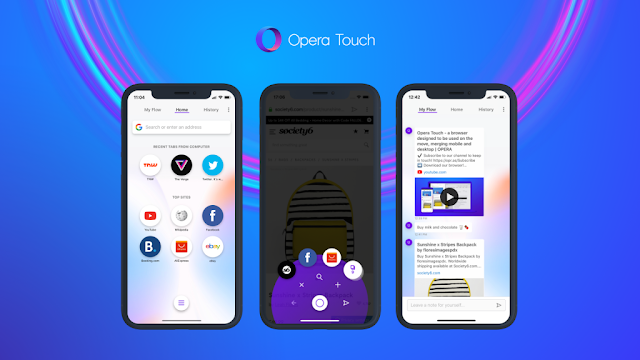 The company even went as far as challenging the “allegiance” to the default browser through the shooting of some videos to show the aesthetics of the Opera Touch browser. Opera Touch also come equipped with built-in ad-blocker with cryptojacking protection, and provides end-to-end encrypted Flow feature that ensure that connected devices and shared images, notes, links and videos are secure. Additionally, it affords the user access to tabs from the Opera desktop browser on the iPhone's home screen, and the browser "adapts" to usage, which means the popular sites visited will be automatically added to the home screen. Lens was originally for the Photos app, and offers a visual search engine that can recognize what’s in images and scan business cards, among other image processing capabilities. 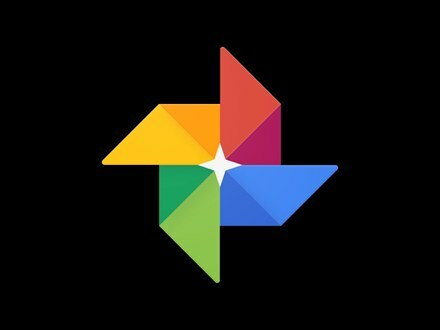 Now, Google wants to show more context around images, including captions that reveal the title of the webpage where each image is published, and to make this possible it is employing the Lens’ AI technology to analyze the images. Lens will show relevant images when you select any object using your finger on a mobile device screen and link the image to product pages so you can continue your search or perhaps purchase the item. It will also let you “draw” on any part of an image, even if it’s not preselected by Lens, to trigger related results and dive even deeper on what’s in the image. Also, Google has overhauled the Images algorithm to rank results that have both great images and great content on the page, while the authority of a web page is now a more important signal in the ranking. And the new look is already live on mobile, and Google promises to bring it to desktop where the larger screen makes it expedient for more complex tasks. 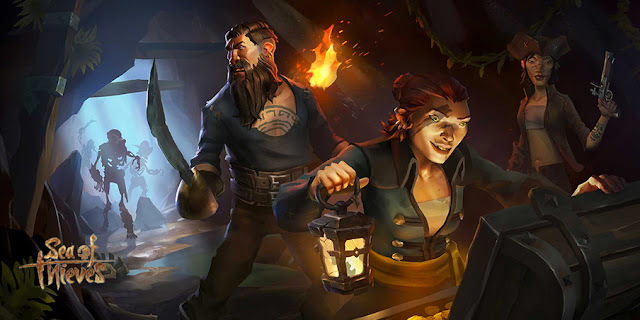 These changes, it hopes will make it a lot more easier and visually appealing to traverse the web, find information, and pursue your interests.